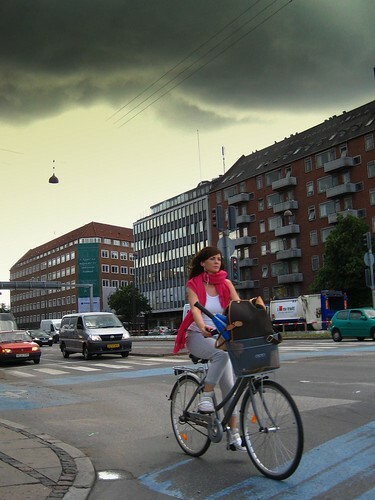 Storm clouds over classy [and rather unconcerned] Copenhagener. The bike lane near city hall, on Hans Christian Andersen's Boulevard, takes a little left/right turn. Enormous fun in a tailwind. It's a tiny little victory on our "take back the bike culture" quest, but a victory nonetheless. As you know, we have a little online boutique, wherein we have a sticker department. I hope the book sells well. Looking forward to seeing it. Sorry Marc. Perhaps Mikael can edit...? I love that sticker. I've been catching up on all the other posts, I've missed, amazing as always. Love all the pictures. Last weekend an stupid man has crashed his stupid car to my bike!!! i have to buy a new one! Raquel, I'm sorry about your bike. Consider a Dahon folding bike, and then we'd match. 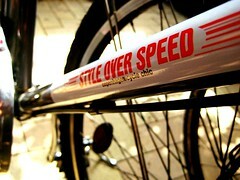 I just ordered the cool stickers as well as the slow bicycle movement bag. way cool! thanks, everyone! westfield, i'll be blogging about it shortly anyway, but thanks! raquel! get a danish bike! 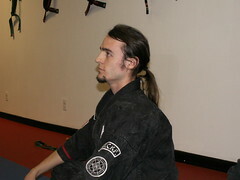 thanks, mr. karate! nice comment.